Playing in warm water makes the difference! Not only do you feel warmer swimming pool all summer long, but you will also begin using your swimming pool more in the spring and later into fall. Whether you’re an early morning swimmer or have children that like to splash in the swimming pool for hours, solar swimming pool heating is the answer! And Solaron of Walnut Creek provides it! 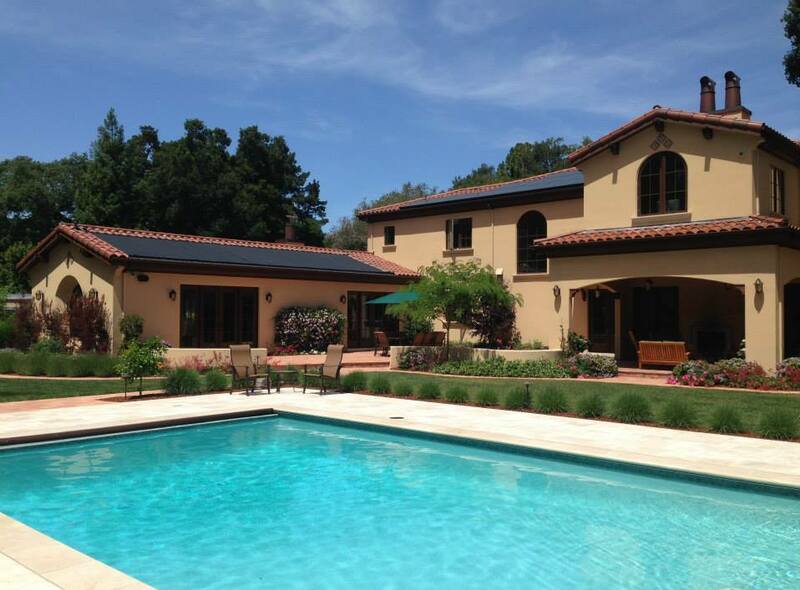 Solar swimming pool heating, compared to other methods, is less expensive and long-lasting. Spread the cost of purchasing it out over 15 years and the cost is surprisingly low to heat a swimming pool. And anyone who heats their swimming pool with natural gas or electricity knows that it quickly gets expensive, both to install a heater and to power it. Thus if you want to heat your swimming pool, a solar swimming pool heater is the most economical technology. Every year days begin to get longer and you think about swimming. However you look at the swimming pool temperature and it’s just too cool for your tastes! A solar swimming pool heater resolves this problem. Once the sun is again strong and shining, you can “pump up” the temperature of a swimming pool. And when the neighbors are hauling out their swimming pool covers for the fall and winter, you can just keep swimming for some weeks more. Solaron uses Heliocol swimming pool heating technology. We rely on Heliocol to work efficiently and effectively every time, with every installation. Olympic organizers rely on them too, with Heliocol solar swimming pool heaters installed for the Atlanta, Athens and Beijing Olympics. Whether your swimming pool is too cool, or feels a little too hot, a solar swimming pool heater boosts the temperature with warm daytime operation or limits temperatures by using cooler water at night. Solaron is the #1 Heliocol dealer in California, and we all know that California and the Walnut Creek area have a lot of swimming pools! Every solar swimming pool heater system reduces our collective use of natural gas or electricity, providing useful convenience with the minimum environmental cost. For more information about Heliocol swimming pool heating for commercial or residential use, contact Solaron at 916-631-9293.